Houston is underrated - as the fourth largest city in America, it has the reputation for being loud, brash, boisterous and a bit of a bad boy - but if you think like that then you'll miss out on a gem of a US city. The Texan city is praised for its international contribution to the arts, and its entrepreneurial spirit, and if you were to ask any local where the greatest city in the world was, they'd tell you that you were standing right in it. Because of its lack of planning permission restrictions and legislation, Houston really has lived the wild west American dream, by building outwards at an alarming rate. 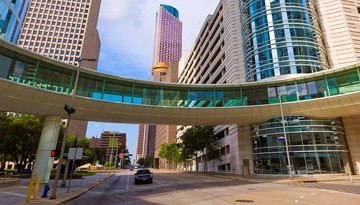 It's for this reason that the city is so big, and it also means that Houston has a lot to offer any travellers. There are museums, theatres and art galleries on every street corner of the major business district, showing ballet, music recitals and more. You can't leave the city without first visiting the Houston Space Centre - here you can see the base of operations from which America first put a man on the moon - simulations and films will put you right in to space yourself, before you come back down to Earth to travel to the Johnson Space Centre to see future astronauts in training. 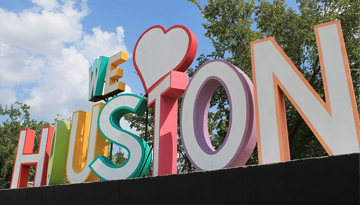 Discover Cheap flights to Houston from Heathrow with these economy class offers at £448 return. 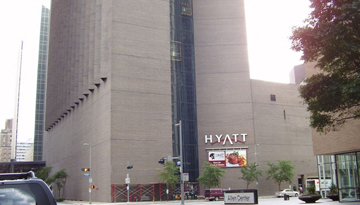 Hyatt Regency Houston is on sale. Bnow book rooms at cheaper rates with 4 star stay. Fly from London - Houston & Stay for 5 nights with 3 star accommodation. Room Only.